A major electronic cigarettes manufacturer has appointed Friday's Media Group as it seeks to become the gold standard in quality and safety. CN Creative has issued a public affairs, consumer and b2b brief that includes building relations with the Medicines and Healthcare Products Regulatory Agency (MHRA) as it reviews its policy on regulation. 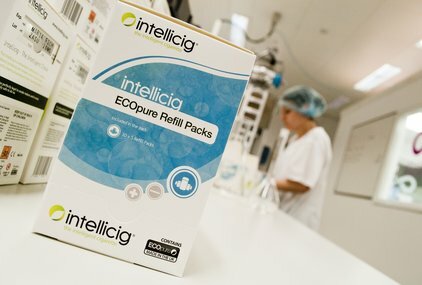 According to account director Nick Henderson, the ‘primary focus’ is raising awareness of the existing Intellicig product as a safe alternative to cigarettes, with a business-to-business brief to raise awareness among retailers and pharmacists. A public affairs strand to the campaign is also about making relevant public health and regulatory authorities – such as the MHRA - aware of CN Creative’s work and helping it develop regulation for the entire industry. The MHRA is expected to announce whether to regulate the area next spring. The company also wants to promote its next-generation electronic cigarette called Nicadex, which starts clinical trials next month and will be submitted for regulatory approval in 2013. Henderson added: ‘CN Creative is quite different from other brands in this space, as it is actively trying to get its cigarette regulated. Intellicig meets a whole range of product and safety legislation but is not yet regulated as a medical product’. reportedly contain dangerously high levels of nicotine, but are not classed as medical devices and so are not regulated, unlike nicotine replacement products. E-cigarettes made headlines earlier this year when Standard Life banned its employees from smoking them at their desks.